One of the worst road Kansas teams we've seen in recent history looks to bounce back from a 1-6 split in games away from home this season as the No. 13 Jayhawks take on TCU in a Big 12 showdown Monday night. 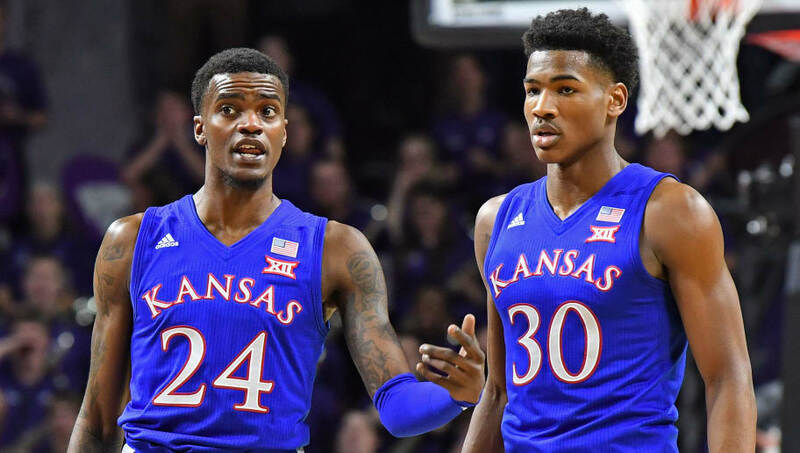 The Horned Frogs are sitting as two-point home favorites over Kansas, via FanDuel Sportsbook, but don't miss out on what other experts had to say before you make your own picks. Here are some expert picks for the Kansas-TCU matchup. 2nd college hoops pick. TCU -2.5 vs Kansas. Jayhawks are bad on the road, 1-6 SU and ATS in its seven road games with an avg losing margin 7.83. TCU is 8-0 SU and 6-2 ATS in its L8 home games avg winning margin 13.88. Kansas scores 5 fewer ppg while allowing 3 more ppg on the..
Scott Hastings of Oddshark believes Kansas' rough stretch on the road only gets worse tonight in Fort Worth against a stout Horned Frog defense. Along with backing No. 3 Virginia over No. 8 North Carolina in a close one, Ken Pomeroy likes the Horned Frogs by the slightest of margins in a one-point, 75-74, win over Kansas at home. The folks over at Sports Chat Place have put their faith in TCU covering the spread as two-point home favorites. Overall, this brings the total split among the four highlighted expert picks to 3-1 in favor of TCU over Kansas on Monday night.